Joining with the administrator Fr. Pat Farragher, and with Fr.  Seán, with the religious and baptised faithful of the Archdiocese I welcome the icon which has come to be associated with the World Meeting of Families. The icon is an image which invites us to prayer. Icons serve a number of purposes. They instruct us in matters pertaining to our Christian faith and remind us of the importance of this faith. They raise us up to reflect on and pray about what they communicate. They encourage us to imitate the virtues which are depicted on the icon and thereby question us and eventually transform us. The icon which we welcome this evening to our Cathedral is a symbol of the values which we believe are important for family life. These are the values which perhaps we take for granted but which we need to reflect on and promote as we prepare for the World Meeting of Families. Icons look strange to us. The people in them are deliberately different from real life. This strangeness is meant to cause us to reflect. The sides of this icon fold in like the doors of a house. At each door we have the Archangels, Michael and Gabriel. They are robed quite splendidly as they reflect the beauty of God. They bear with them the dynamism of the love of God. The angels feature on the outside of the icon as they carry with them the desire of God to protect the family. Every family shares a little piece of heaven. This does not mean that every family is perfect. It means that every family is sacred. It is holy and must be respected by everybody no matter what its difficulties. Every family home is a sanctuary to the members of that family, or at least it is meant to be. It is the one place in the world where they can always feel safe, secure, accepted and be themselves. Every family is precious and deserves the highest respect. It is holy ground. When you open the doors of the icon and enter in you will see three scenes; one on the left, one on the right and one in the centre. The scene on the right is of the Wedding Feast of Cana. Isn’t it significant that Jesus worked his first miracle at a wedding. St. John, Chapter 2, says “he let his glory be seen”. There is a sense in which in every wedding Jesus works a miracle and allows his glory to be seen in the marriage and in married people. At Cana the original wine of warmth and happiness was failing. When the situation is brought to the attention of Jesus he generously responds by not just restoring it but increasing it. In this miracle we see the way in which Mary’s maternal instinct prompts her to recognise the situation which is deteriorating as the wine runs out. She brings it to the attention of her Son. Mothers have a particular facility for recognising when something is wrong and needs to be addressed. Jesus gives us the power to restore warmth and happiness. We can all work this miracle. The secret to working this miracle is to act in time. When Jesus and Mary found out that the wine was gone they acted immediately. We witness the maternal instinct in our families particularly in crisis situations. On the left-hand side of the icon you will see the Raising of Jairus’ daughter by Jesus (Mark, chapter 5).Every parent with a seriously ill child can identify with Jairus. Here we see the Father of the family taking responsibility in a crisis situation. Today sociologists are expressing concern that there is an abdication of responsibility on the part of fatherhood in our culture. Jairus came to Jesus begging him to heal his seriously ill child. This is a huge challenge and a very heavy cross for parents. Jesus goes into the house, heals her and restores the little girl back to her parents. What Jesus did for Jairus’s daughter is a picture of the hope for all believers. In this miracle we see Jesus’ response to a family with a sick child and how he respected that family’s privacy in the midst of emotional turmoil when it came to the moment of healing. Jesus did not give us the power to raise the dead but he did give us the power to restore people whom everybody thinks are dead. Many people have done things that have caused them to be rejected so that they are as good as dead in the family. Nobody will associate with them. They are totally excluded from the life of the family. They are as good as dead. Jesus did not give us the power to raise the dead but he did give us the power to bring back lost family members: people everybody thinks are dead because of something terrible they have done. This is the power of forgiveness. All families would be dead without it. The central scene is of the Holy Family, Jesus, Mary and Joseph sitting down for a meal as suggested in Gospel of St. Luke, chapter 2. It looks strange because they are all sitting on the same side of the table and looking out in the same direction. If you saw this in real life you would think that they are not talking to each other! The reason they are sitting like this is because they are looking out at you and me. The side of the table facing out is empty. It is an open space for you to come in and join the Holy Family. This is a beautiful thought. The Holy Family is always open to us. The scene also teaches that families are not meant to be closed in on themselves. This can happen if they have all they need and regard themselves as self-sufficient. All families can make a contribution to their communities and to the world. Many of you are doing this today. Parents make huge sacrifices to educate their children. The love with which sons and daughters care for ageing and fragile parents is inspirational. A lonely neighbour is visited. As we reflect on the Holy Family in this icon we realise that their faith is celebrated in their home. Their trust in God was remembered at table. It is in our own home that the reality of God-with-us is communicated and passed on to future generations. Perhaps we remember saying “Grace before meals” in our homes. You will notice how Mary’s hand is wistfully held up to her face. It communicates to us how Mary our Mother knows the heartache the worries and burdens all parents experience with their children. As our mother, she makes our trials her own concern. With her other hand Mary is also directing us and showing us the way to Jesus her Son. As we focus on St. Joseph we see that he echoes for us the responsibility and the dilemma of every parent wanting to nurture and protect their child whilst at the same time letting them be free to become all they can be in God’s eyes. In the icon Mary and Joseph surround Jesus with their love and care, but they do not smother him, they do not impose themselves. Both leave him space to be who he truly is. In this icon the Holy Family have a place at their table for us. They invite us to join them. They are no strangers to the trials of family life. They themselves have been refugees fleeing from the violence of Herod. They have known great anxiety. The Irish Bishops have made copies of this icon available to every home. They were distributed at Mass. I suggest that you place the icon in a prominent place in your home. It is a witness to and a reminder of the values that keep families together. Next articleHOMILY OF ARCHBISHOP MICHAEL NEARY ON THE 3rd SUNDAY OF THE YEAR, EXPLAINING THE RELEVANCE OF THE ICON OF THE HOLY FAMILY.